Start Empowering Your Dreams Today! At Trévo we are on a quest to become the greatest health, wellness and lifestyle company in history. To accomplish this, we have tapped into the key that all companies which have attained greatness and, ultimately, legendary status have had in common. There are seven identifiable characteristics – principles, if you will – that we believe will propel the Trévo team toward a destiny of greatness. As we shape our lives and attitudes through these principles our lives actually become the catalyst that attracts others to the Trévo culture and lifestyle of prosperity. The journey toward the creation of Trévo actually began years ago when CEO Mark A. Stevens was a young man of just 16. While still in high school, Mark discovered his entrepreneurial spirit and passion for excellence as he became the owner of a soon-to-be nationally recognized music company. From the very beginning of his journey toward legendary business success, Mark challenged the “status quo” of corporate leadership as he divided his time between studies and running a successful business. As his business insight grew, Mark discovered that the principles of the network marketing industry actually underscored and intertwined with his belief that an unlimited opportunity exists for everyone, not just a select few, willing to work hard and help other people along the way. Thus began the journey that lead to the creation of Trévo. Perhaps the most defining difference that sets Trévo apart from other companies is Mark’s love for people. He is passionate in his belief that everyone has the right to live their dreams. Trévo was created to make a positive difference in people’s lives; to help people become aware of what is available to them in life. In other words, to empower the dreams that can fuel their success. But being successful is much more than just making money. It is actually about what you do with that success. It is about making the world a better place in which to live. It is about imparting a sense of possibility. At Trévo we are dedicated to helping you to realize that there is a great life out there just waiting for you to come and get it. We want you to live the very best life you possibly can by embracing the knowledge that you were created for greatness. You are created to be empowered to change your life and the lives of those around you, that is the mission of Trévo – to create a culture of passion, excitement, prosperity, good health, generosity and love. In other words, to embrace living life to the fullest. To our way of thinking, there is no better legacy than this for our families and our global community. At Trévo our creed is a statement of our beliefs that explains who we are and what we are all about. It clearly says why we belong in people’s lives. It is comprised of Trévo’s Pillars, Mission and Core Values. Together, these components of our Creed create an identity that attracts people to the exciting and rewarding Trévo culture. The four Trévo Pillars define a lifestyle of freedom, passion and prosperity. They are the bedrock of the Trévo culture of success. The Trévo mission is to create a culture of passion, excitement, faith, prosperity, good health, generosity and love. The following are nine of the Core Values that are embraced by our Trévo Life and Health Coaches. Icons are typically visual representations, but can also be recognizable sounds or smells of something with which we can instantly identify. An icon can evoke a feeling of pleasure or expectation, even creating a sense of pride and community. Think of how the image of the American flag, coupled with the playing of the national anthem, can stir emotions and a deep sense of respect, hope, thankfulness, courage, pride and unity. Since the name Trévo is a derivative of the Latin phrase “power of three,” our logo depicts three interlocked leaves. This name and its associated icon encompass our commitment to restore, renew and revive your physical, financial, spiritual and emotional prosperity. This logo also speaks of our dedication to search out and utilize the very best natural nutrients from around the globe for our products as well as our dedication to being a “green” company. The color green is also associated with prosperity, completeness and strength. As founders of Trévo, these attitudes and attributes are things that Mark and Holli value and nurture. They understand that embracing and developing such traits will result in maximum impact. It is their goal, our desire, that each person who makes the decision to become a member of the Trévo family will adopt and express these characteristics in their lives. The Sacred Words and Phrases of Trévo are a list of words and phrases together with their accompanying definitions. They are the language of our lifestyle culture that has evolved through the lives of founders Mark and Holli Stevens, our Life and Health Coaches and their interaction with our products, business opportunity, systems and technology tools. Following is an abbreviated list of our Sacred Words and Phrases. 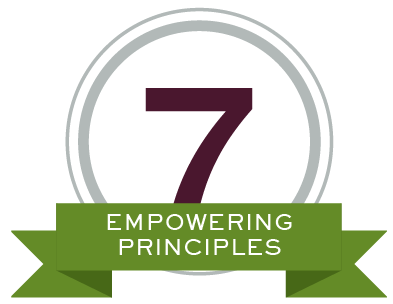 The full list is available to our Life and Health Coaches in our booklet entitled “Seven Trévo™ Principles To Empower Your Dreams.” People, Products, Prosperity is first about you becoming connected to the Trévo lifestyle culture and product and then connecting other people to the same. This act of “plugging in” provides both you and others with whom you connect the opportunity for unlimited prosperity in every area of life … physical, emotional, spiritual and financial. The Power of Wellness speaks of the astounding health benefits of the 174 nutraceutical ingredients from around the world that comprise the Trévo 100 percent vegetarian, nutrient-dense formulation. Restore, Renew, Revive refers to the beneficial effects of Trévo’s unique liquid nutraceutical product. As each delicious ounce is absorbed into the body’s cells, thousands upon thousands of phytonutrients go to work to restore vital energy and enhance your mental focus; renew the body and mind; and revive the body’s natural anti-aging and immune system support. “True freedom means having the things you want to have when you want to have them and doing the things you want to do when you want to do them” is a quote from Trévo’s CEO, Mark Stevens. This statement is the embodiment of the personal empowerment that comes from the Trévo opportunity and lifestyle. “Trevo represents a whole new category of super-nutrition” refers to Trévo’s unique 3-phase formula (Restore, Renew, Revive) that covers a broad spectrum of nutrition. This formula is so revolutionary and completely unprecedented that we are seeking patent protection. The statements made herein have not been evaluated by the FDA (U.S. Food & Drug Administration). This product is in no way intended to diagnose, cure, treat, or prevent any disease. If a condition persists, please contact your physician. The information provided by this website or this company is not a substitute for a face-to-face consultation with your physician, and should not be construed as individual medical advice. The testimonials on this website are individual cases and do not guarantee that you will get the same results. The earnings potential portrayed in this literature is not necessarily representative of the income, if any, that a Trévo Life and Health Coach can or will earn through participation in the Trévo compensation plan. Any figures herein should not be considered as guarantees or projections of your actual earnings or profits. Any representation or guarantee of earnings, whether made by Trévo or a Trévo Life and Health Coach, would be misleading. Success with Trévo results only from successful sales efforts, which require hard work, persistence and leadership. Your success will depend upon how effectively you exercise these qualities.